Since the beginning of the year, I have been helping HeathWallace again. As of November 2011, I wrote on this site that I would love to work with that company again. Less than 2 months later, I got my wish! My contract was from January – April, and has just ended with the site going live! I am happy to have seen the project from the design phase, through much of the development phase, and all through population, testing, and deployment. This time, I did not work in a project management capacity. Instead, I am working on Content Population and Quality Assurance. From January through late April, my duties included learning the new CMS environment, testing the ability of the client to manage their own site, reporting bugs to the development team, placing content into the templates we created on the CMS, catching typos, better establishing what the branding guidelines would look like in obscure scenarios, and working with the great team at HW again to make it all happen at break-neck speed. Here is an example of a typical day. In the AM, we would receive 30 changes from the client to the content they created. Within 3 hours, we went live with that content. Then we would test a previous batch of work by another team member who was populating new pages. In the end, another 50 pages would be sent to the client for approval and they would then prep new changes to the content. Busy stuff! Combine to this that we had re-work due to features being built-in as we populated, and you have a very big process. Well, here we are at the end of April, and the site has just gone live. A major financial institution has a shiny new website, with over 300 pages of new content, new features, and a great user experience. After about 9 months of my working on this site, longer for the full-time members of HeathWallace, the site is live and looking great. I am proud to have a hand in it, and am still impressed with the great team that put it together with me. I wish I could post the link here, but sadly I have to keep the name private. 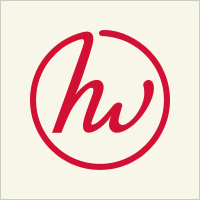 HeathWallace does not publish their client list. If the do make something public, I will edit this post to show the result.